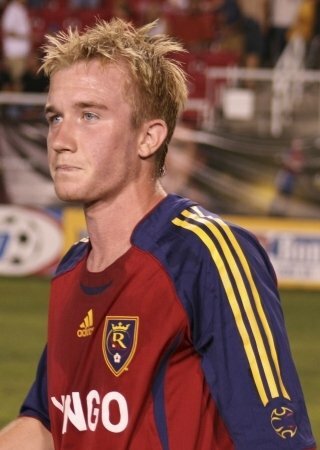 I remember first watching Jamie Watson play for Real Salt Lake back in 2005. Back then RSL was a dismal side with little direction. You could almost say it’s fitting that Watson began his professional career there. For two years Jamie battled for playing time and failed to find his groove. It’s perfectly understandable; Watson entered the league as a young, unproven player. That youth though gave way to maturity and determination. With a frustrating start to his professional career, Watson stepped back, adjusted his habits and took the humbling steps necessary to develop his game. Now, he’s become a more mature, positive and well rounded man. So too is he a more well rounded player. 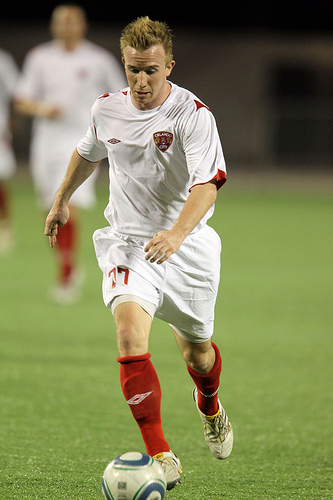 He’s coming off winning the USL Pro Championship with Orlando City, a team in which he was an integral part. 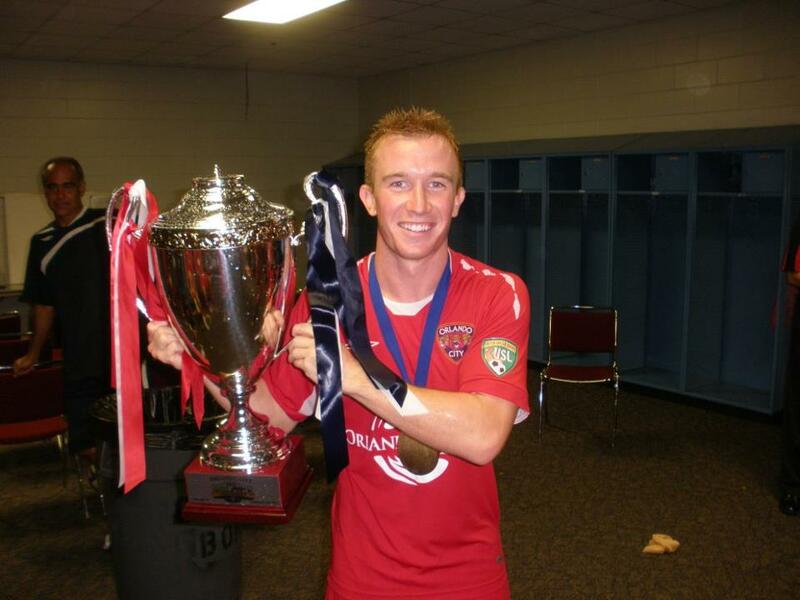 Read on to learn more about Watson’s road to success which even saw him living on a couch playing in the PDL. It’s an impressive story. MLS Reserves: Can you start off by talking about how you ended up in Orlando City and what the season was like for you? MLS Reserves: How did if feel to win the season in such dramatic fashion? MLS Reserves: You saw significant playing time with Orlando City. How important is that time to you development as a player? MLS Reserves: You played of the University of North Carolina for two years, then left to sign a Generation Adidas contract with MLS; are you still pleased with that decision? I'm told you're using that GA money now. What are you focusing on and where at? 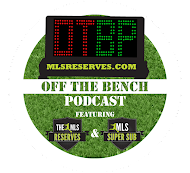 MLS Reserves: After entering the league and playing with Real Salt Lake, what has it been like to do move to lower tier soccer and be so successful? MLS Reserves: Do you have ambitions of playing in MLS again? MLS Reserves: With your contract ending soon, are you fielding offers from other teams? Any idea where you're going? MLS Reserves: Watching you play, you seem to really be coming into your own and enjoying the match. Is this true? MLS Reserves: For fans, what do you like to do in your free time? Hobbies, time off the field... what is Jamie Watson like away from soccer? Watson’s story is an amazing one and it isn’t over. As he looks to the future, he knows soccer will be a part of it, but not the whole thing. For a player to have faced such trials and maintain his positive attitude, it really speaks to his character. After the up and down nature of his career, Watson remains positive. After leading Orlando City to the USL Championship, it's easy to see why. His talent and maturity have made him a more complete professional. Jamie Watson is certainly a player to keep an eye on. What a great player Jaime is, he surely was integral in our championship season and would really look forward to him continuing to grow here in Orlando as we look to become a part of the MLS, but will continue to wish him the best of luck wherever his journey takes him. I remember him playing really well in a few FC Dallas reserve games and never understood the need to let someone who was so obviously talented go. Wait...he was born in 1986. 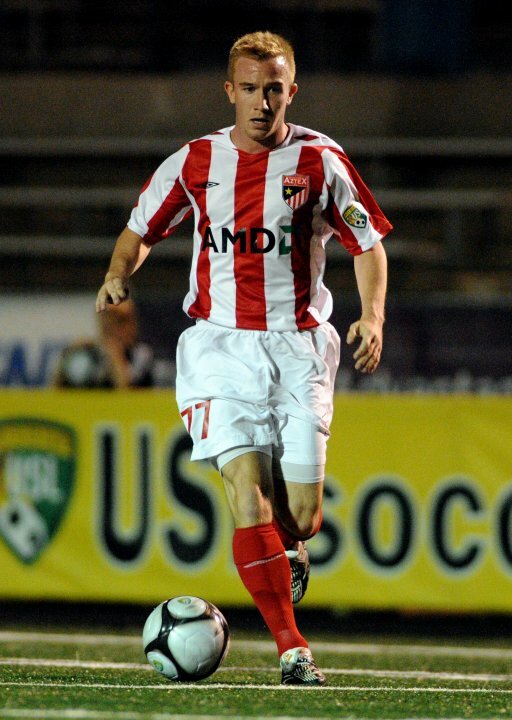 If he entered MLS in 2005, how was he legally able to drink? And what does that have to do with anything? always nice hear a positive story on a player who wasn't successful in MLS, but is very close to coming back after paying his dues. Also nice to see a story about a player that is not is MLS or part of the RailHawks. Finally got a chance to read this just now, and tweeted it out. Nice work as always, Luke. By the way, he's trialing with Montreal today. Got my fingers crossed for the kid. This guy is amazing!! His passion for the sport and commitment to his fans is unparalleled. I wish him the best in all his future endeavors. Really. This guy is amazing.